As an eight-year-old boy in 1964, the world was already upside down. Only one year earlier, President Kennedy was assassinated. We practiced regular air raid drills in school where we turned out the lights and crawled underneath our desks in case we got the alert that the Russians were going to drop a nuclear bomb on our town. And then, in November of ’64, everyday after school I ran home and poured over the newspaper to see if there was any news about the fate of Covenant missionary, Paul Carlson, who was captured by rebels in Congo. I suppose I was interested in Dr. Carlson’s story because we shared the same last name and he was from the same church denomination as my family. But looking back, I realize that my fascination went much deeper. Upon hearing word of his death, I lost a hero. As a child, I did not understand the complicated Cold War politics that surrounded Congo at the time, or the convoluted motives of the Congolese rebels who captured and killed Paul. All I knew was that a man who had a brilliant career ahead of him as a surgeon in Southern California, responded to the call of God, took his family to the “end of the earth” to serve people who he didn’t know. When given the choice to escape, he chose to stay in order to save a life. Paul’s life and testimony stayed with me throughout the years. His response to God’s call and ultimate sacrifice for that obedience made an indelible mark on my mind and heart. I may not be called to go to Africa as a doctor but wherever God said to go, I would go. Forty years after Paul’s death, I was given the privilege to produce a video retelling the story of the life and death of Paul Carlson. I talked with his family, Lois, Wayne, Lynette and Paul’s brother Dwight. I listened first hand to the men who were with Paul in prison, witnessed his strength and faith when he was accused of being a spy, and were clutching his hands when Paul was shot and killed by a young rebel. I traveled with the family to a number of villages in Congo, saw the magnificent tributes for “Monganga Paul” who, even after forty years, was still loved and not forgotten by the people. I listened as the nurses and pastors from the village recalled the day that he was captured and how Paul’s concern was for the safety of the people. I sat with Paul’s family as we interviewed Cristoff Gbenye, the rebel leader who, for all practical purposes, was the man responsible for Paul’s death. Once again, I was moved and molded by the grace and forgiveness that the Carlson family showed to this man who was, in his younger years, an egotistical monster. Even though Gbenye did not pull the trigger killing Paul, he enflamed the situation with his words and actions. He could have saved him. Now, fifty years after Paul Carlson died for the people he came to serve, I see more clearly the mark his life and death has left. True, the world was upside down in 1964 but it always has been. That’s why Jesus came to live and die. Paul Carlson was simply following Jesus. I know from the interviews I had with his family and fellow hostages that Paul did not want to die but I can say with certainty, that he did not regret his obedience to the call of Christ. 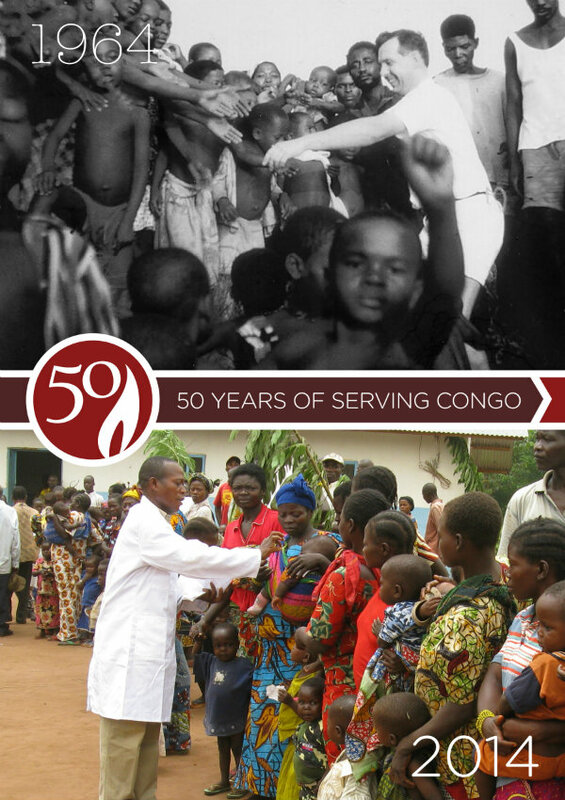 He loved his family, his work and the Congolese people and still had so much to live for. As I look at the mark that was left on my mind and heart, I realize that Paul’s example lives on. 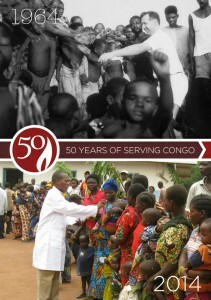 It lives on in the continued life and vitality of the church and medical work in Congo. It lives on in the passion and mission of the Paul Carlson Partnership. It lives on in me. When I look at the mark on my life I am encouraged to keep going, to be faithful in my call and not give up until Jesus calls me home. My prayer is that the mark of Monganga Paul will be passed on to the next generation through all of us who have been marked by this man and his story.